Educators will need to practice doing this before working with the students. The instructions for using Google maps have changed slightly. The hybrid view is now more intuitively called "satellite." Activity suggests grouping students in 3-4; could also be pairs. Potentially split up the activity steps amongst groups of students and use a jigsaw method or have students work on separate pieces and report back to the group. This activity from NOAA's Ocean Service offers a step-by-step analysis on how aerial photographs can be used to assess the impact of severe weather events, in this case Hurricane Katrina. Focus is on measuring impacts on coastal communities rather than causes of hurricanes. 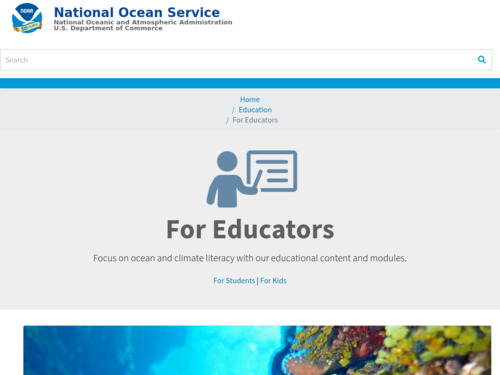 Comments from expert scientist: This activity enables students to access and interpret up-to-date data and information about Hurricane Katrina and generalize to other natural disasters. All the materials referenced are of the highest quality from reliable government and/or scientific sources. Extreme storms are very timely and should be of interest and importance to students. This exercise builds the student's skill in navigating a spatial browser Google Map and matching locations with aerial photographs from NOAA's National Geodetic Survey collection. Learners develop an appreciation for the impacts of extreme weather events, such as Hurricane Katrina. The resource includes specific instructions on how to find features on the photographs. Activity builds 21st Century Skills in students by using aerial images and Google maps to investigate extreme weather impacts. While this exercise is easy in principle -- Google maps and the aerial photographs are quite easy to use -- the actual matching of locations may be challenging for some users. Designed to access websites but all maps and images can be printed for analysis if internet access is not available.